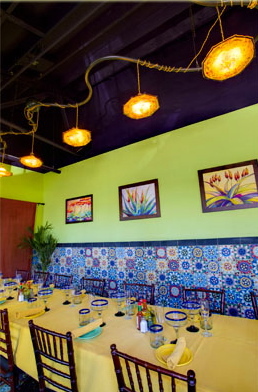 Casa Blanca combines a prime location with a beautiful interior and excellent Mexican cuisine. Whether you are enjoying the warmth of the fireplace on the patio overlooking State Street, or inside appreciating the rich details of the authentic Spanish tile work and hand blown glass lamps – Casa Blanca gives you the feel of an authentic Cantina. You will not be disappointed with this experience. A few months after opening, Casa Blanca hired longtime local chef Onofre Zunega. After spending 15 years at Cava, Zunega brings his talents to this hot, new downtown destination. Zunega sources fresh local ingredients, whenever possible, and uses traditional cooking methods to bring you some of his finest Mexican creations. Our favorites include the Halibut Fish Tacos, and Carne Asada. Casa Blanca also offers a variety of margaritas and tequilas to complete the dining experience. Come see for yourself why we’ve added Casa Blanca to our list of places you should dine.